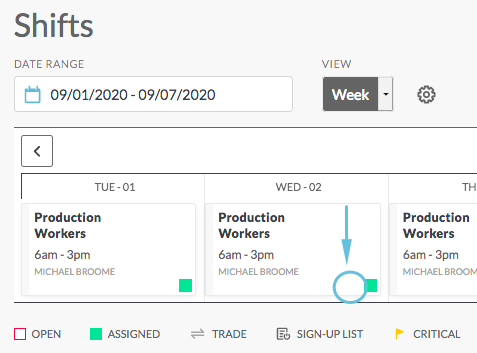 Shifts offered for trade are only viewable by people on the same workgroup (team). 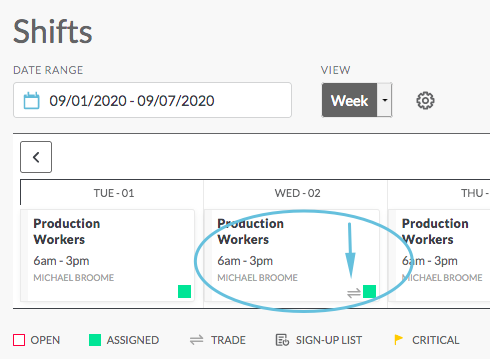 The tradeboard tool will not allow anyone to double-book themself, take a shift they don't qualify for (see role), or take a shift that will put them into overtime. Site settings determine whether shifts are defaulted to allow trades. 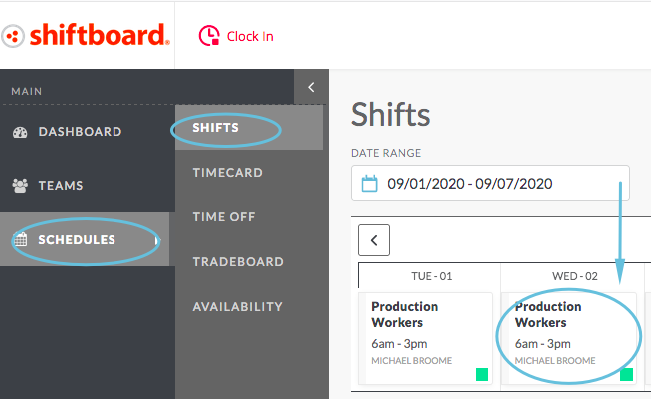 When shifts are being created or edited, managers may override the tradeboard default setting. A trade must be posted for trade and someone must take the trade (and possibly be approved by a manager) before the shift is considered traded. 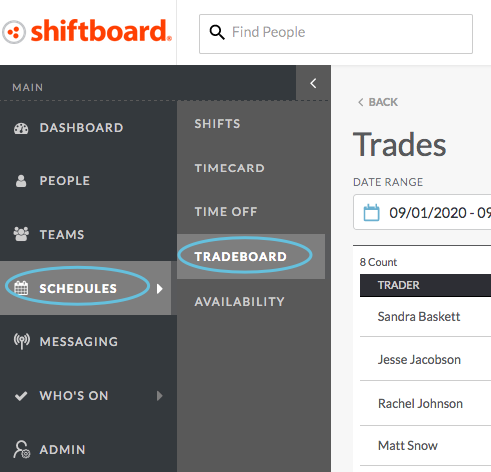 Any shift that is up for trade will still appear on your schedule until someone else takes the shift from the tradeboard. If the shift is still on your schedule, you are still responsible to cover it, even if you have posted it for trade. 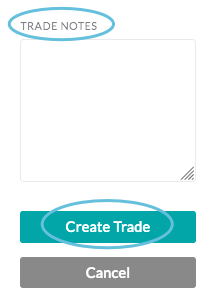 To set up a Trade, add notes regarding the shift (optional), then click Create Trade. If you put a shift up for trade, you can edit the notes on the trade or delete the trade. 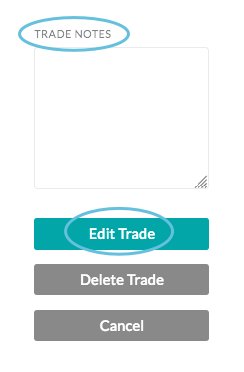 To edit the trade, click in the Trade Notes box, edit the note, then click Edit Trade. You will be returned to the Shift Details page. 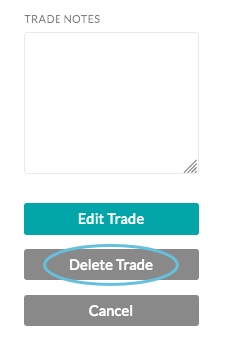 To delete the trade, click the Delete Trade button. A confirmation page will appear. Once you click Delete Trade on the confirmation page, you will be returned to the Shift Details page. Use the Date Range field to narrow down the list of shifts that are up for trade within your workgroups (teams) on a given date or date range. The Date Range field automatically selects the next two weeks, including today’s date. To select different dates, click inside the Date Range field and choose dates from the datepicker. Note: If site settings require manager permission to post or accept a trade, then trades that are waiting for manager approval will be listed as pending on the tradeboard. After choosing a shift that you want to take from the list of offered trades, click Take Shift. Shifts listed as pending have been offered up for trade and are awaiting manager approval. 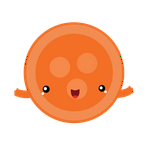 If manager approval is required to take a shift, then after clicking Take Shift, you will see an Approval Required notification message, and the trade will show as unapproved on the tradeboard until it is approved. 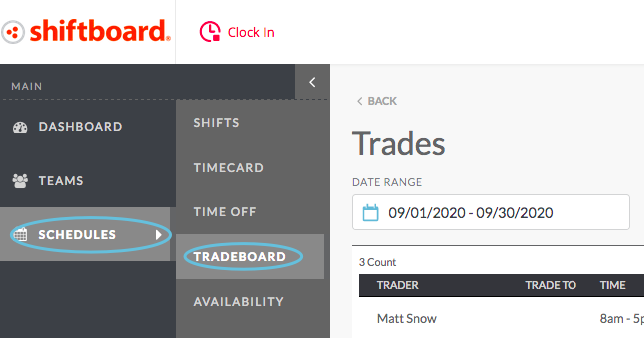 Tradeboard follows all rules that site administrators and managers have established in Shiftboard. Once tradeboard is enabled on your site, it is controlled on the workgroup (team) level. 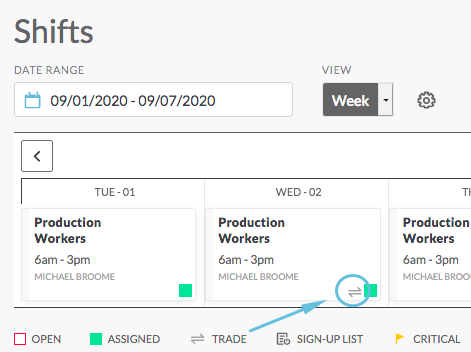 The tradeboard allows managers to view shift-trade activity for their workgroups (teams) . Depending on site settings, managers may also approve/deny shifts that have been put up for trade and approve/deny requests to take a trade. When site settings require managers to approve shifts that are put up for trade, those requests to post a trade show up as pending on the tradeboard. Approve / Reject Pending Trades: Click approve (green) to allow the trade to be posted or deny (red) to not allow the trade to be posted. If you approve the trade, then the approve/deny icons will be replaced with a Take Shift button. If you deny the trade, then it will be removed from the list. Approve / Reject Unapproved Trades: When site settings require managers to approve someone’s request to take a shift from the tradeboard, then those trades show up as Unapproved. Click approve (green) to allow the person to take the trade or deny (red) to not allow the person to take the trade. No restrictions—People can put their shifts up for trade, and other people on the same workgroup (team) (and the same role, if roles are in use) can take the shifts. The Manager has no involvement or say in the trade. Permission required—This setting gives Managers the ability to approve which shifts are put up for trade. The Manager is required to give permission to the person who wants to trade the shift before the person is allowed to put it up on the tradeboard. The Manager will be notified that a person wants to offer their shift. Once it is put up for trade, anyone on the team (who doesn't have a conflict and won't be in overtime) can take it. Approval Required—This setting gives the Manager control of who is taking shifts that have been offered. Any shift may be traded, but once someone wants to accept a trade, the manager must approve that person to take the shift. Permissions and Approvals required—This setting requires that a Manager both gives permission for a shift to be traded and approve who is taking the shift. When a person wants to offer a trade, the Manager will be notified that someone wants to trade a shift. Once permission is granted, the team will be notified that a shift is up for trade. When someone wants to take the offered shift, the manager will be notified of who expressed interest. Once the manager approves of that person taking the shift, the trade will be made and will be reflected on the calendar.